Hi, I’m Kate and this is my first post! 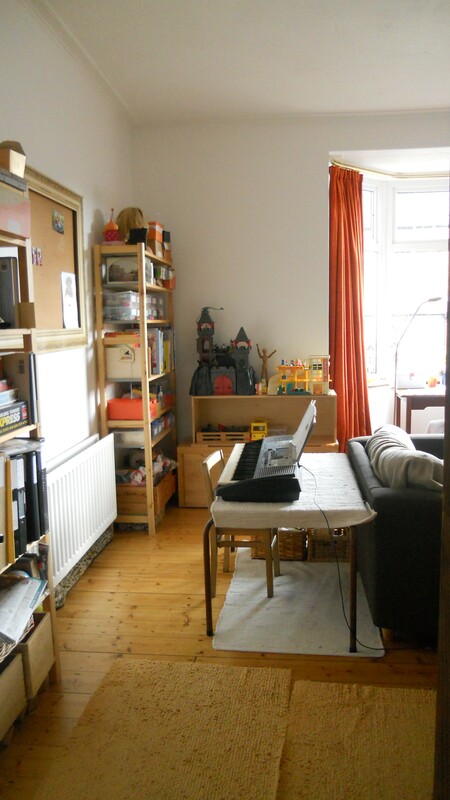 We have undergone a living room transformation! We live in a semi-detached house with an East/West aspect. 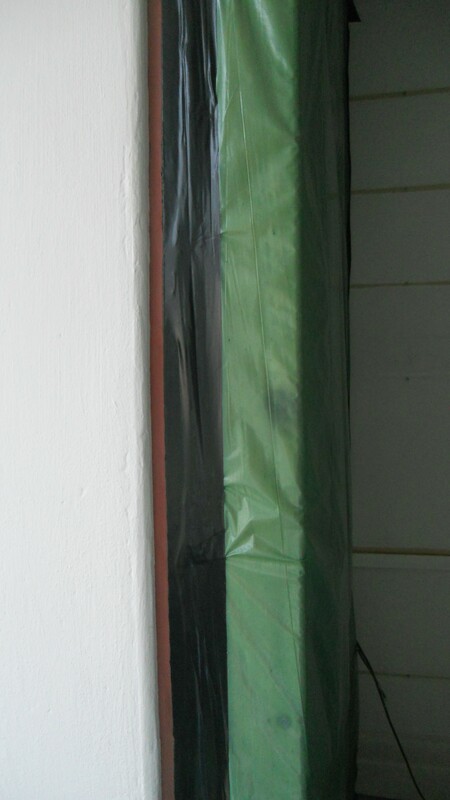 We wanted to make our cold living room a lot warmer by insulating the exterior two walls with 100mm of sheep’s wool. We’ll see this Winter if we have succeeded! 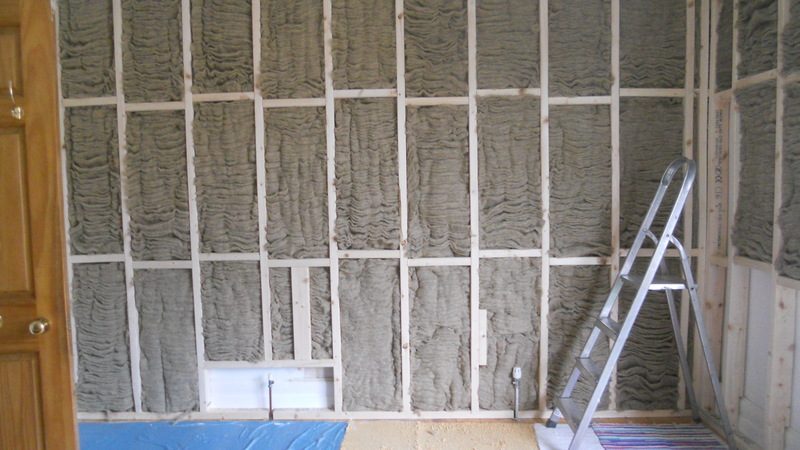 We have already felt the benefit of insulating the outside bedroom walls upstairs. 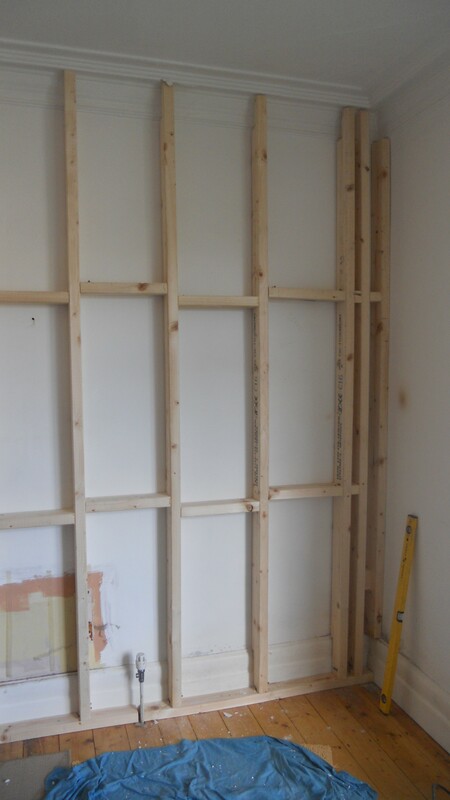 Jayme put a wooden frame and batons up across two walls. Sheep’s wool from The Wool Insulation Company is wedged in-between the wooden batons. The plastic vapour barrier was stapled on. ‘Pink Grip’ sealant tubes and black tape was used to plug any tiny gaps and finish sealing the insulation in. 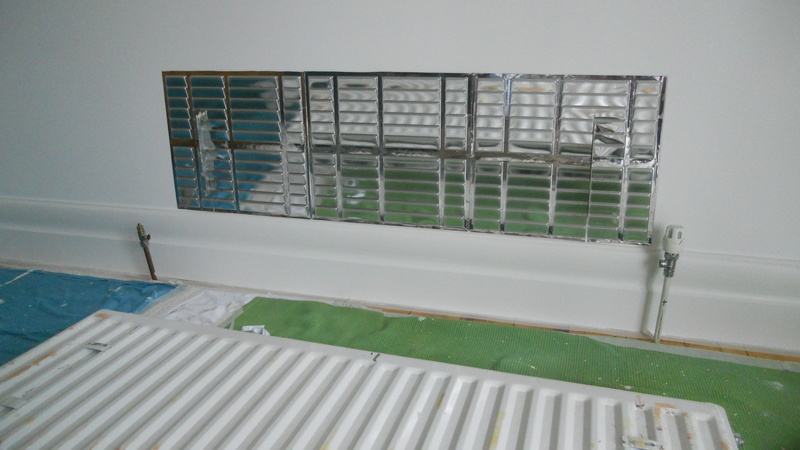 Silver foil backed plaster board was nailed on. 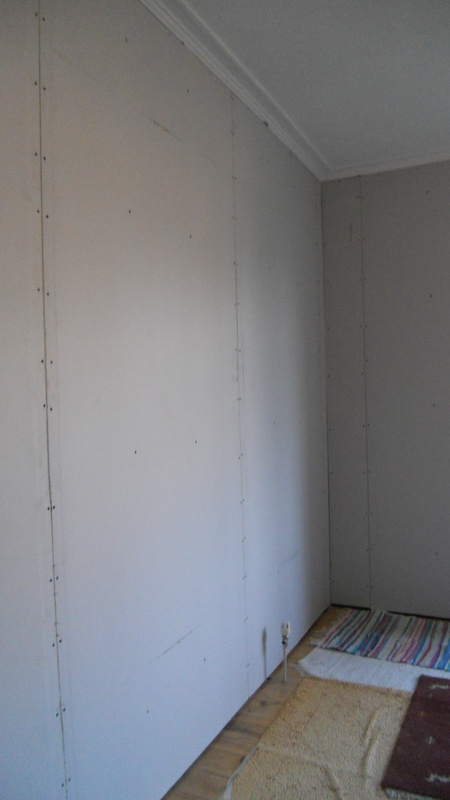 Jayme applied a filler down the joints and on top of the nails fixing the plasterboard to the wooden batons. He then sanded the areas smooth. 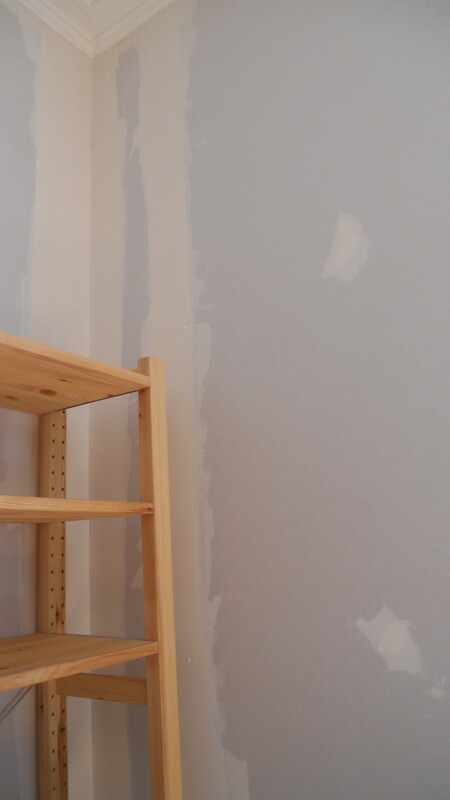 The walls were then painted. 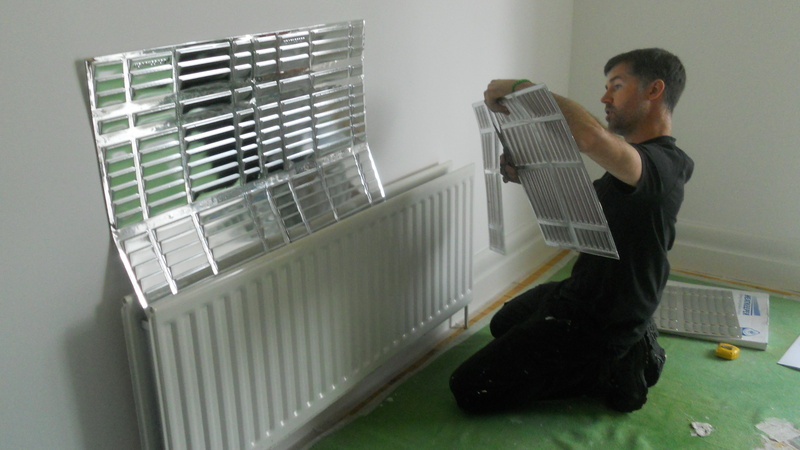 Jayme cutting up radiator panel. Finished, warm and tidy!! living room! 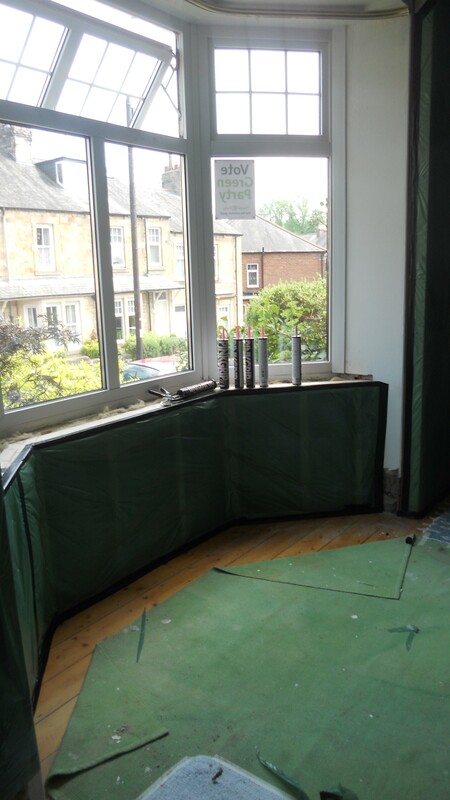 This insulation has only reduced our living room area by 100mm depth on the two outside walls. Next ›Reel Green Pop-up Cinema!! Brilliant! Please keep us updated during the winter to see how warm it really is !